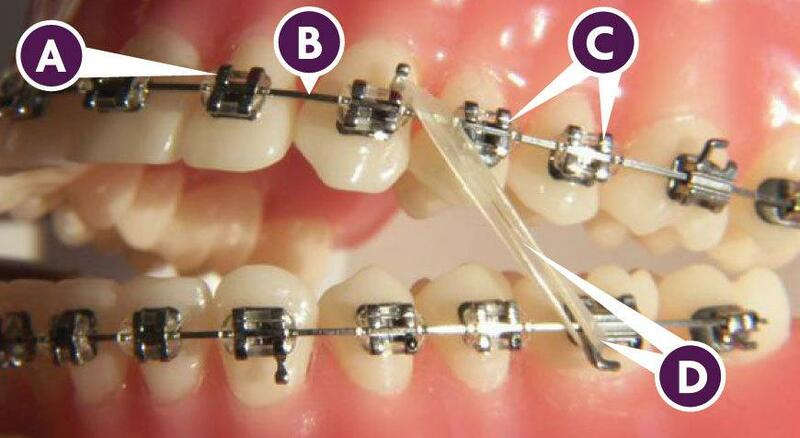 Fixed Braces straighten the teeth using brackets which are stuck on to the teeth and a wire which is inserted through the brackets to create tension to move the teeth. 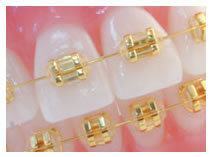 Ceramic (tooth coloured), gold and silver brackets are available to suit each patients preference. 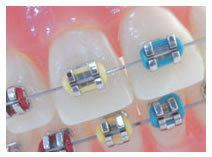 Coloured ligatures can be placed over brackets and are popular with teenagers wanting to personalise their brace! 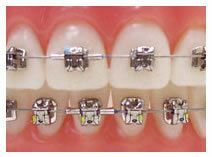 Stainless steel metal brackets are easily recognised and are widely used in the treatment of patients in all age groups. 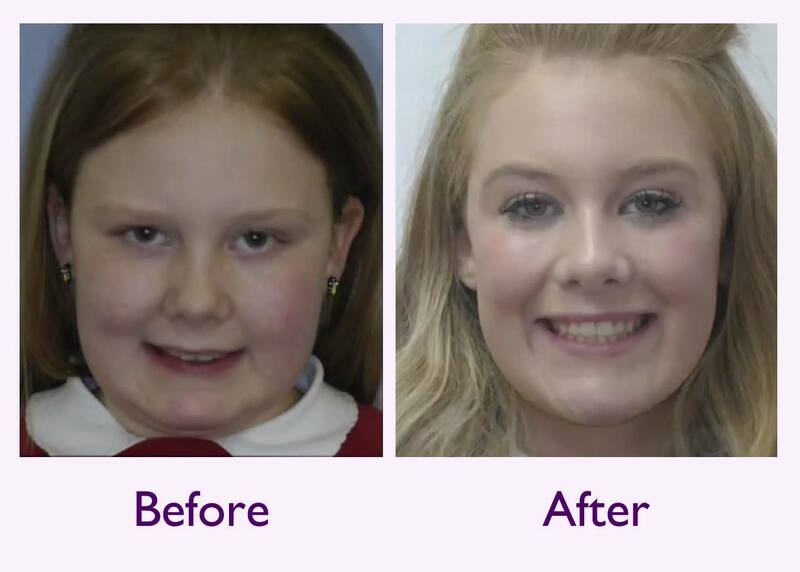 Their robustness and suitability for most cases make them an appliance of choice for most orthodontists. The designers have been making them smaller and decreasing the profile of these metal brackets, sometimes with beneficial results including higher treatment efficiency, decreased friction, decreased appliance breakage (due to increased bond strength) and superior fit or seating. These metal brackets can be customised with coloured ligatures or modules to provide individuality and make them more aesthetically pleasing. These are fixed braces which function without ligatures and modules. 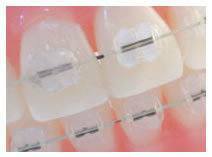 These braces are designed to help the teeth move more efficiently and may result in fewer adjustment visits. The absence of modules and ligatures eliminates the hassle of staining. Dr Malhi was very professional in the way he spoke to us and took us through everything step by step not using big words so we could understand everything that he meant. The staff here are amazing - absolutely brilliant and make you feel at ease over something that could be quite scary and the results after 3 and a half years - well - you only have to look. I’m really impressed with it.